One of a kind Mason & Hamlin grand piano signed by Cuban jazz musician and composer Arturo O'Farrill following his concert performance in Key West, FL. Signature inscribed on the cast iron plate. I found this fabulous instrument hiding under a custom cover in a M & H dealers music shop in Key West in 2005. I fell in love with its sound and purchased it for my private studio, a house which sits on top of an ancient Indian mound by the sea on Pine Island FL. The magic of this extraordinary piano and this place has inspired many songs and personal recordings. The instrument’s full size, providence and condition would make it an excellent choice for an artist composer, musician, recording studio or concert hall performing space. 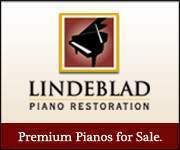 The piano has been regularly tuned, recently tuned and appraised at $34,900. Included is a matching bench, original custom cover, as well as a 2-bar Dampp-Chaser system. It also has a Piano Disc player system that is not in use. 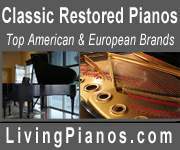 Pin block, dampers, soundboard & bridges all in excellent condition. The instrument shows low miles for its 20 years. Many years of music to be enjoyed with this piano.